With the graduation of five 200-win standouts, the mat is wide open this winter in Maine. Maine high school wrestling’s Class of 2017 was probably the greatest collection of top-end talent the state has seen. That graduated group included five wrestlers with over 200 career wins, two New England champions and one New England runner-up. 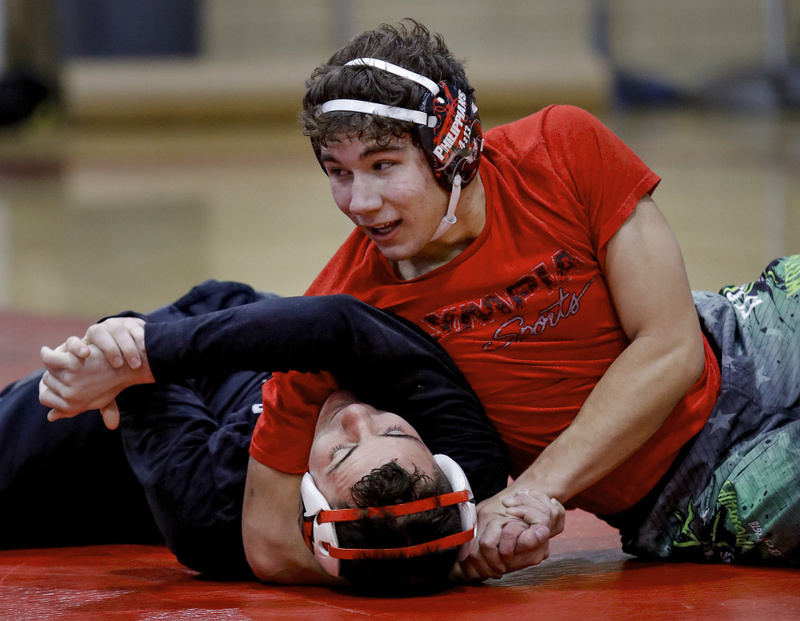 That means this season – especially in Class A – the mat is wide open for new champions to emerge, some of whom had been eclipsed by the 200-win wrestlers. Last season, there were four weight classes in Class A that were essentially decided as soon as the foursome of Cody Craig of Skowhegan, Bradley Beaulieu of Marshwood, Austin Shorey of Noble and Robert Hetherman of M. Ararat walked into the gym. Each rolled to regional, state and then all-state titles at 106, 138, 145 and 170 pounds, respectively. Craig and Beaulieu were four-time state champs, Hetherman won three titles and Shorey won two. Beaulieu set the Maine wins record with 243. Shorey (225) and Craig (221) also passed the previous record of 217, set by 2015 Marshwood grad Cody Hughes. Hetherman finished with 206 wins. Craig and Beaulieu won New England titles. Hetherman was the New England runner-up. The impact will still be felt this year as wrestlers try to sort out who will take those vacant spots. Sanford junior Issac Plante was one of several very good wrestlers at 170 pounds caught behind the double hammer of Hetherman and the Class B champ, Trent Goodman of Ellsworth – who was third at New Englands. Plante was impressive, winning the Class A South regional. But when it came time to face Hetherman for the first time in the Class A final, it ended quickly. Hetherman pinned him in 26 seconds. Wells senior Michael Wrigley, another former 170-pounder (he’s likely to wrestle at 195 this year), lost to Goodman in the Class B final the past two seasons, and a loss to Hetherman hurt his chances at the New England qualifier. For every wrestler who aspires to win a championship for the first time, there will be two or three more per weight class who see opportunities to advance. Instead of wrestling at the regionals, now they could make it to the state meet. Instead of merely qualifying for the state meet, the goal can be to place. “It’s a lot more of a level playing field this year,” Plante said. “You have to believe you can win, and there are a lot more people believing,” Anderson said. Nolan Potter is back for his senior season at Wells High after going undefeated in Maine a year ago. 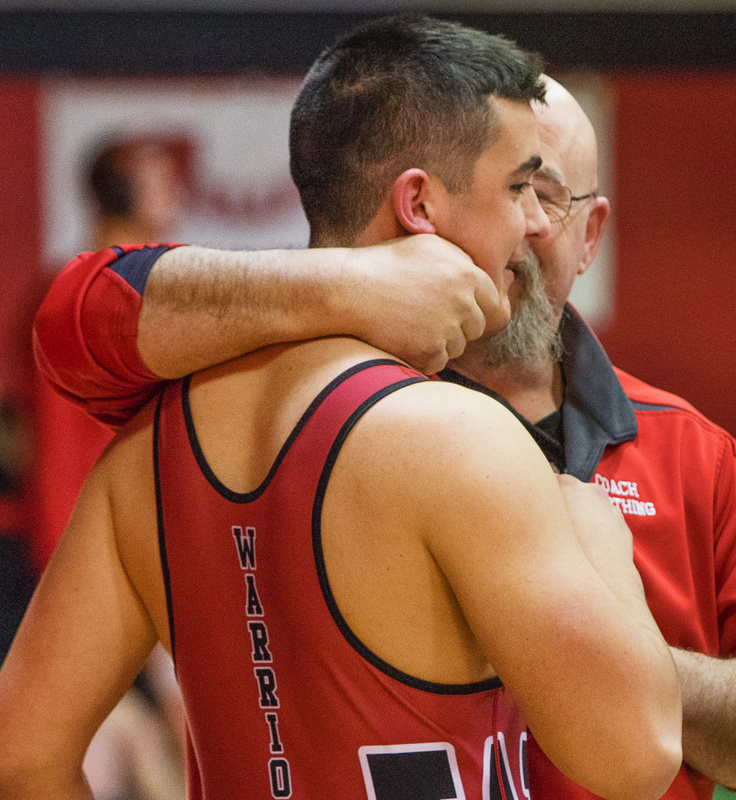 He was 50-2 overall last year and is the wrestler to beat in the 220-pound division. “Other than that, everything is pretty wide open, and as good as those guys are, they’re still beatable, not like those guys were last year,” said Morse/Wiscasset Coach Mike Bennett. It’s possible this year’s senior class will prove just as formidable. As underclassmen, some were playing second fiddle to the five 200-win wrestlers, a group that included Caleb Austin of Mountain Valley, the Class B and all-state champ at 126.